NC TECH offers a portfolio of events that can help you increase your company's brand, your own business contacts and industry knowledge. NC TECH's signature events and series will provide a forum for you to interact with your peers and share subject matter expertise. NC TECH'S 2019 Outlook for Tech included over 400+ business and tech leaders from across the state joining us for a fast-paced luncheon and tech expo. The 2019 conference theme was Dirupt or Be Disrupted. with a keynote briefing on trends, an employment outlook, and an annual review and release of the NC TECH's State of Technology Industry Report; introduction to new NC TECH leadership and preview of the year’s programming. Hundreds of executives from across sectors and functional roles will gather at our flagship technology conference for a day of engaging keynotes, interactive panel sessions and a tech expo. The 2019 conference theme is Cyber Security. The event will also feature a startup showcase, where early stage tech companies will demo some of their latest innovations. A favorite of many, this retreat is presented by the NC TECH Board of Directors and Advisors. Held at a luxury hotel, it’s the perfect setting for leisure, learning, and relationship building. The programming provides key industry leaders the opportunity to explore and discuss the state of the tech sector and trends that impact North Carolina’s economy. North Carolina is home to some of the nation’s fastest growing companies. 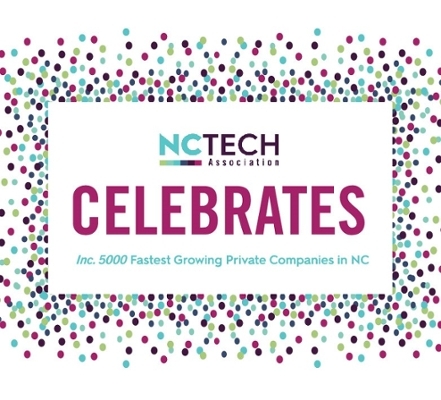 At this event, we recognize the NC headquartered companies named to the 2019 Inc. 5000 List of Fastest Growing Private Companies. This reception will give you an opportunity to celebrate those high growth organizations and the great work that they are doing in NC & beyond. Stay tuned for more info. 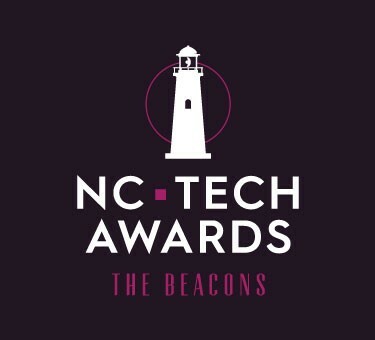 Join hundreds for an evening of celebration and networking as we recognize organizations and individuals for achievement in technology in our state. This capstone event, the only statewide tech awards gala, includes a reception, dinner, and awards ceremony. Nominations and applications are accepted through an online process that takes place mid-year. If you are interested in sponsoring one of NC TECH's programs, you can contact Tracy Sternberg. Our sponsor menu covers all of the available sponsorships for events, programs, networks and more with prices ranging from $250 and up. Click on the sponsor menu below.